They say actions speak louder than words. Our experts couldn't agree more, and have crafted a bouquet to help you show you really mean what you say. 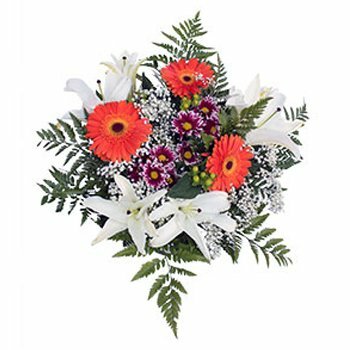 Your recipient will get a vibrant flower arrangement, bursting with orange Gerberas, charming white Lilies, and more. Say I'm Sorry, show that you'll always be there, or surprise her with Make Amends.